This is the first post for a new series about keto workouts. It features the workouts, diet, supplements, and other health and fitness stuff I’m trying out and testing while in nutritional ketosis. My goal is to help both you, the reader, and myself, learn the best ways to eat, exercise, sleep, and supplement, etc. for optimal health and performance. 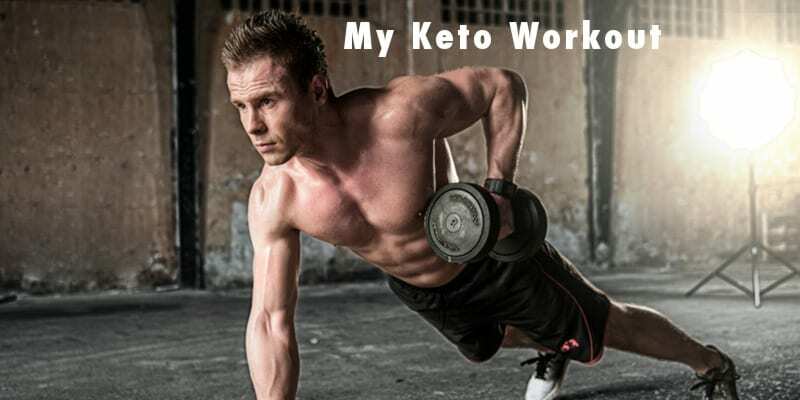 Not only will it save us all time and money using what actually works, but you can read about a first hand experience of keto workouts. I’m currently following a low carbohydrate diet with a goal of getting into nutritional ketosis for several hours a day, at a minimum. By fasting everyday, eating every 20 hours or so, supplementing with MCT Oil, its working. For dinner, my meals consists of 70% fat, 10% carbs, and 20% protein. 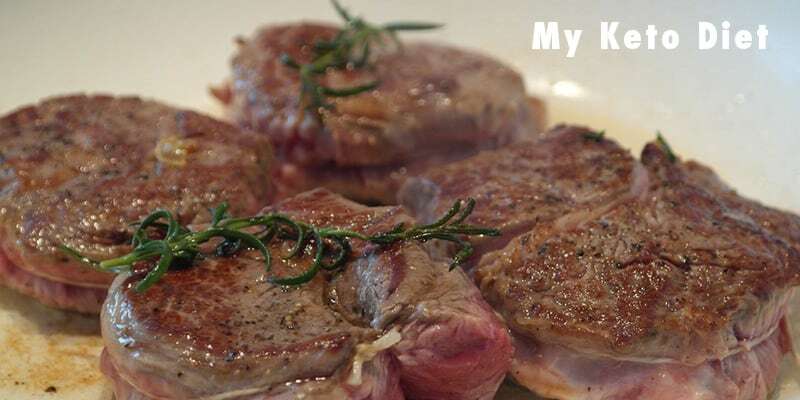 Below I list specifics about my dinner plan for those who are interested in trying it! My training is focused on total body workouts using kettlebells, sandbags, etc. My daily goal is to train every morning at 4:30 A.M. I wake up at 3:30 A.M. everyday, usually without my alarm. Finally, after years of troubled sleep, I now get 7 1/2 hours, which has become the status quo! In the past, I would wake up every few hours, and have bad dreams. The result was dreading my morning workout and finding it very hard to feel refueled and ready to perform explosive movements on an empty tank. You know how it feels, like doing farmers walks in quick sand. We can all agree that sleep is one of the most effective ways to repair fatigue and sluggishness. About a week into nutritional ketosis, I noticed that the joint pain in my knees and elbow was completely gone! They have been a source of my discomfort for several years. Cheating is not beyond me and I have been known to put away a few bags of chips, soda and candy. Caution: there are consequences! Whenever I’ve skipped intermittent fasting, my joints go back to that old familiar pain and my over all body aches suddenly reappear. When I get back on the intermittent fasting train, and after approximately 7 days of low carb eating, my body is back, full strength! I drink 4 ounces of mocha flavor Chameleon coffee. It gives me a nice, sustained kick and there’s no bitterness or stomach ache from the caffeine! My trick for maintaing continuous energy is to blend 1 tablespoon of MCT Edge to my Chameleon coffee. It gives me that extra pep in my step and focus. It also keeps my hunger at bay and prevents those early morning cravings. You know, when you tell yourself, ‘But I have the rest of the day to burn them off! So what’s the problem! ?’ Just take MCT Oil and forget that line of reasoning – it doesn’t work! I’ve tested it myself and all that happens is padding around the waist! Regarding my strength, power, and endurance, I feel like I did in college! The payoff of keto workouts, make all the discomfort worth it! Thanks ketones, fat, MCT Oil, and creatine! It’s not surprising that with better sleep, burning fat for energy, no joint pain, you allow yourself to focus solely on those kettlebell swings, grass/ground weighted squats, box jumps, clean and jerks, sprints or whatever explosive movements that, prior to working out while in ketosis, were making you feel aged, old, and done! Peak performance and mental toughness have been the most consequential results from my keto workouts! Anxiety has stopped me from pursuing many things in life. I can also get moody and edgy when I have low blood sugar! Just ask my wife! As I transition to low a carb diet, fasting and high fat meals, the brain fog begins to clear and that edginess dissipates. It happens slowly, and it takes discipline, so you can’t expect to wake up a changed person! You have to put in the work. There is a marked improvement in my energy, focus, and mood during ketosis, lasting for days! It contributes to a positive attitude which directly effects my ‘Can do’ attitude during training sessions, especially those where the burn becomes very intense. The longer you stay on a low carb diet, the longer you can stay in nutritional ketosis. Then, when you stop fasting or have a bagel, it doesn’t mean that your body will automatically start running on glucose again. 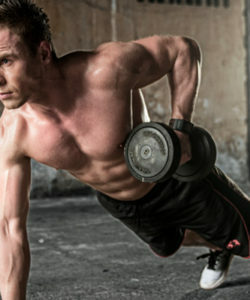 You can help yourself stay in a fat burning state longer, if you stick to the low carb meals. 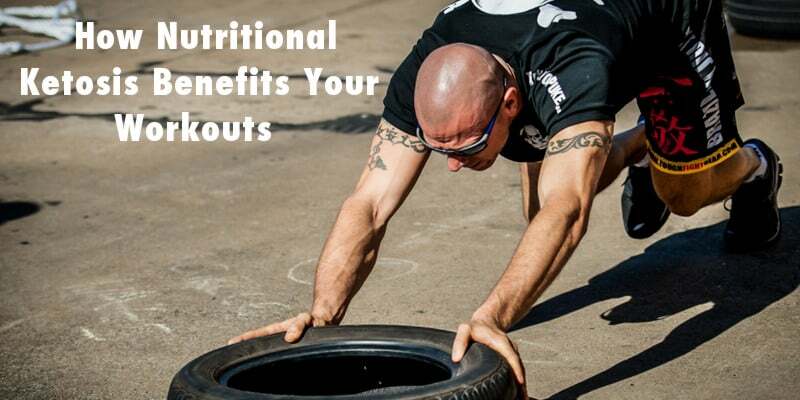 More importantly, the longer you stay in ketosis, the more benefits you’ll reap…and there are many as you can see! I broke down all the components of being in nutritional ketosis to finally discuss keto workouts. I know that when I want to give 120% of my strength and focus when training, then everything that diverts my attention from it, needs to be addressed. If you want to lose fat, perform more sets with heavier weights and feel stronger, both mentally and physically, working out during ketosis is the way to go! Today was the best workout I’ve had since going back to intermittent fasting 8 days ago. I finally felt fairly strong and able to generate power again. BUT, before this surge of power, you can feel weak, tired and pretty moody. This is because the transition, to being fat adapted and using fat for fuel, can take some time. I also started taking creatine again to support my strength, power and recovery in between sets. When you start this type of diet it’s important to get into nutritional ketosis quickly. This article gives you all the information you need to get into ketosis quickly without suffering (too much!) or feeling the transitional side effects. I’m not going to paint a misleading picture about the ease of becoming fat adapted. There can be some trying moments, and a bagel, candy bar, or piece of pie is the only thing on your mind for a couple hours. Some moodiness and fogginess can set in for a few consecutive days, on and off. It depends on your eating habits before you start. Obviously, the more carbs you consume today, will make your road more difficult! With the article above, I share tips on how to get into ketosis faster so you may experience less side effects. Did 10 sets of hill climbs for 1.25 miles total. Used a 65 pound sandbag for extra resistance. Rest period was time walking down hill between sets. This is the 8th consecutive day that I’ve been eating one meal a day, between 4-6 PM. Even though I’m only eating once a day, when it is time to have dinner, I’m not binging and gorging myself until I pass out from meat sweats. I actually eat the same, if not a little less than when I ate 2-3 times a day. I’m making sure to get lots of fat in at every meal which keeps me feeling full. After 8 days I can finally say that my cravings are pretty minimal. I still think about carb loading on Reese’s cups and ice cream but the cravings and desire isn’t nearly as bad as before. Now it’s more of a fleeting thought. Taking this day by day because I know sugar can take-me-down, fast! take 1-2 tablespoons of MCT Edge in divided doses. Time to feast on tacos! ¾ pound of prime ground beef. Tastes like a NY strip steak. Flavored with Alton Brown’s taco seasoning (link). ¼ cup shredded cheddar cheese. This is enough to fill me up and keep me energized until dinner tomorrow. Eating once a day enables me to eat the foods I want without any negative side effects. I still keep the carbs low and fats high. Nutritional ketosis is definitely my jam. All in all, I feel like the fasting/low carb diet is beginning to really kick in. I’m excited to see how it improves over time. Many experts say it takes about 6 months to really experience the optimal benefit of nutritional ketosis. Maybe by then, my keto workouts will be doing hill climbs with a small car over my shoulder! I would love to hear about your experience with keto workouts. Leave us a message here. What Is Pure MCT Oil? What’s The Best Way To Take MCT Oil?